Now that I'm a driver (I still get excited writing that I CAN DRIVE!!) I spend a lot of my time in cars. I always try and arrive on time for appointments so I spend a few minutes waiting in my car. Sometimes I'm so early that it can be up to 15-20 minutes waiting. It's times like these that I like to pretend that I'm a cop during a stakeout. I watch a lot of Law & Order and Dexter ok? Sorry. To get in the right mindframe, I slump down low in my seat and watch everyone around me. Sometimes, disconcertingly they look back at me and I wonder how cops get away without being seen. Perhaps they need tinted windows or something. I should really keep some donuts, a cup of coffee and a water pistol handy in the car for the full effect. And that reminds me, I often wonder how they pee. I mean if I drank coffee like they seem to on television, then I'd need to use facilities shortly thereafter. Do they ever miss the person while they're relieving themselves? Anyway I digress, if I were a pretend or real cop and I was on a stakeout around Christmas, I'd choose a gingerbread latte as my coffee of choice. The smell of Christmas to me is gingerbread, Christmas cake and tinsel. When I smell those three things, I know that Christmas is just around the corner. There are lots of recipes using gingerbread syrup which sounds delicious but if you just want to whip up a really, ridiculously easy version without having to make or buy a syrup this will do nicely. 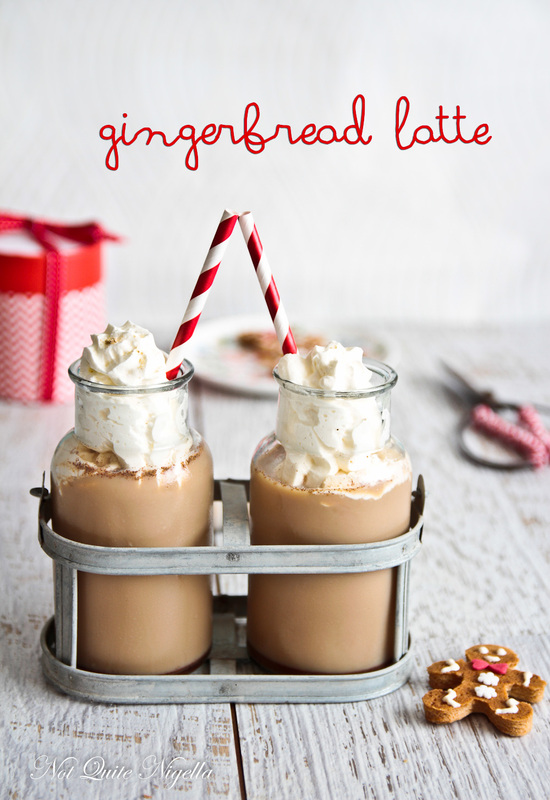 It's got all of the flavours of gingerbread mixed with coffee and I love this served cold or hot. But always with a cop voice. Because I'm usually alone in the car and nobody will laugh at me ;). So tell me Dear Reader, how do you pass the time if you have to wait for people? Go shopping? Call friends? Play on your phone? Pretend to be a cop on a stakeout? 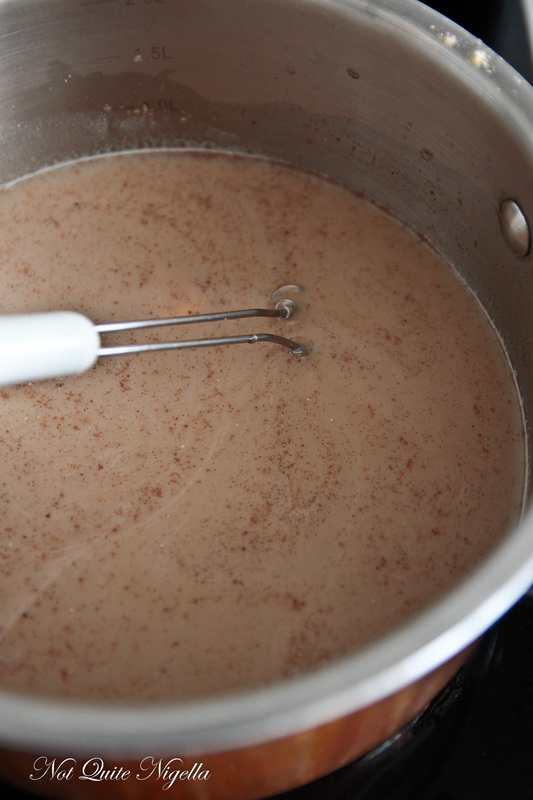 Step 1 - Gently warm the coffee, milk, golden syrup or molasses and spices in a small saucepan. Pour into serving glasses and top with whipped cream. recipeSnowmen Gingerbread Cupcakes With Cinnamon Cream Cheese Frosting! recipeWinter Warmer Winner: Speculatte aka Speculoos Cafe Latte Drink! featureA New Year's Espresso Kahlua Granita! recipe Snowmen Gingerbread Cupcakes With Cinnamon Cream Cheese Frosting! 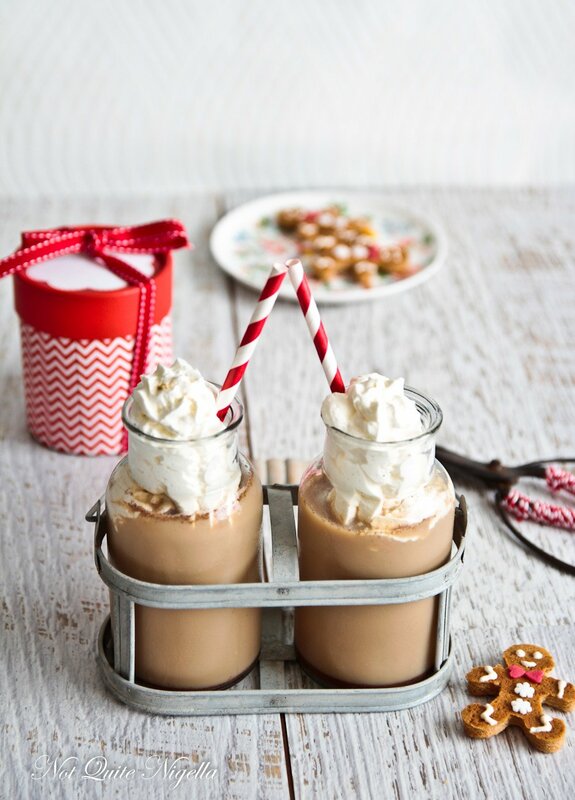 recipe Winter Warmer Winner: Speculatte aka Speculoos Cafe Latte Drink! feature A New Year's Espresso Kahlua Granita!